At this moment, Pakistan is featured in all international news channels and papers due to two unfortunate incidents of fire that took place in factories in Lahore and Karachi. 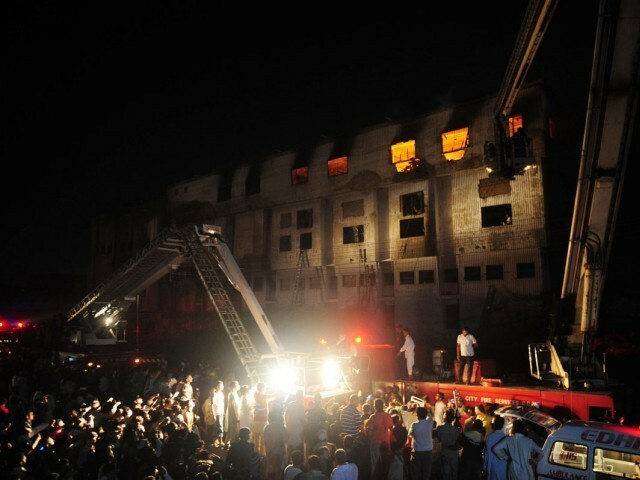 The fire in the shoe factory in Lahore left 24 people dead, including the owner of the factory, and various injured while officials have confirmed that over 200 lives have been lost in the fire that took place in a garments factory in Karachi. Both fires broke out accidently and workers were trapped inside. In both cases, the buildings and occupational safety measures were said not to have been up to the standard described in law. The Karachi incident wreaked more havoc as there was a much larger population stuck within the building on fire because it had only one escape exit. In both cases, however, controlling the fire was extremely challenging for the fire brigade (showing lack of capacity and the dire need for investment) and it took hours before the fires were controlled – during which individuals charred inside the factories-screaming out for help. The rise in death toll of the Karachi fire incident will put it down in history as being one of the worst industrial fires since the Kader Toy Factory incident in Thailand that killed 188 individuals and injured over 500 in 1993. Pakistan’s Factories Act 1934, though outdated and less inclusive of the informal workforce, clearly outlines measures for fire safety, over crowdedness and other elements we deem ‘unimportant’ in day to day life. The question is who will claim responsibility for the incident? I have followed the television news updates from different sources and have succumbed to the fact that alas even after the mass losses in the accident – little or nothing will change. State representatives condoled all day long – with no mention or acknowledgement of state negligence. Other politicians condoled and criticised the already unpopular state; police representatives emphasised how justice will be served once people responsible are caught. During all this, the families of the victims, in sheer desperation and helplessness, visited mortuaries and hospitals unguided (and far worse misguided) by the state. Not a lot moved forth in terms of how accountability will be ensured. At the rate media has grown, the culture of transparency, and open information has bloomed (as proclaimed by various news sources) we should be seeing or hearing state representatives admitting that they were negligent, apologising and then explaining what measures – preventive and reactive, will be taken to avoid such situations in the future. We should hear the police representatives and social activists say it out loud- we should be able to hear them as loud as the screams from within the building, how solely the state and the owners are responsible for not protecting the workers right to life. Today, advantage of the poor was taken, their financial handicap was taken as leverage for the faulty conditions in which they were made to work in. The law was undermined and the poor could not have done anything. What price should the state pay for its negligence? So far, I have not heard about anybody getting sacked or suspended for not fulfilling their duties on part of the State. Is accusing the owner for murder enough? Whether we admit it or not fire safety is not very high up on our list of priorities. Even in literate circles, how many of us have actually undergone training on how to use fire extinguishers in emergencies in our schools, colleges, organisations etc? How many of us have ever checked to see if our workplace even has a fire extinguisher?? Do you know where those red cylinders which we see here and there are actually placed or where exactly the emergency exits are? Our ignorance is one of the reasons fire safety ranks low in the list of state priorities as well. A state, unable to cater to the basic needs of its citizens, will have a thousand excuses for not having an adequate budget, resources or personnel. The committees formed to investigate will present their reports in a few days but there is a silent precedent to which all such incidences fall prey – committees investigate, if they find offenses, directives for taking action are issued – which obviously has go up the bureaucratic hierarchical ladder, never to be seen again! The government needs to become pro-active. A set number of law enforcement officers should follow up on whether factories and businesses are abiding by the laws set out in the Factories Act, including those on fire safety clauses provided in chapter three of the Act. Labour laws need to be enforced thoroughly; they are there for good reason. Safety measures need to be abided by, law enforcing bodies need to ensure implementation and activists and the media need to follow up on this until the people responsible are held accountable. Over 300 innocents lost their lives due to sheer negligence. If we want to avoid incidents like this from happening again, justice needs to be served. Shaking myths off pregnancy: No, you do not need to eat for two if you're pregnant! Completely agree with you………………..now let’s see what happens. we are deep in bog of negligence. This is indeed a very tragicincident. However, I fail to understand a few things. 1- This was a garment manufacturing factory which was involved in exports as well. As I am closely involved in exports, i know that even though our govt might be ineffecient the companies who import our stuff are very stringent in their requirements. they have regular checks of how the factories are being run and are the workers working in safe environments or not. There is no way that big companies, like the ones this factory was wokring with, allow less than 2 fire escapes in a room where approximately 25 peple are working. When I look at the response of the state to alleged blasphemy by a mentally challenged teenager and the culpable homicide of 300 innocent people, I am forced to conclude that alleged blasphemy is a bigger crime than the murder of hundreds. Sample the response. A. Alleged Blasphemer was promptly arrested. The factory owners were not arrested. B. Alleged Blasphemer was in custody for 3 weeks. The factory owners not even for 3 minutes. C. Bail for Alleged Blasphemer was set at 1 million Rupees. 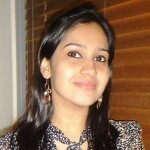 Bail was given to factory owners for Rs 5,00,000 only. So which is a graver crime?